For Write Now 6, we pleased to welcome Anna Jordan (winner of the 2013 Bruntwood Prize) and Suzanne Gorman (Artistic Director of Maya Productions), to lead this year’s workshops, alongside David Bottomley (the Jack’s Literary Manager). Big Adventures in Small Worlds. In this workshop we use automatic writing exercises, drawing on our past experiences to create authentic familiar worlds for our characters to inhabit. This ‘small world’ is then a safe place to explore a ‘big adventure’, allowing us to investigate challenging, scary and unwieldy themes and events. Led by Anna Jordan. All workshops are just £5, and suitable for all experiences. Booking will be open from next week. 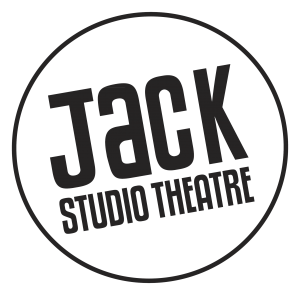 We are also delighted that George Turvey (Artistic Director of Papatango) will be joining us at the Jack as this year’s Write Now Dramaturg. We are pleased to announce the launch of Write Now 6. Please check out our Write Now pages for information on how to apply and send in your play. The deadline for submissions for 2015 is Friday 30th January. Thank you to everyone who took part in Write Now 5, making it such a successful and creative year at the Jack. And thank you also to our audience for supporting new writing, and to our sponsors for making it possible. We hope to run Write Now 6 in April 2015. So please check back later in the year for updates about submission deadlines and taking part.